Since Crossy Road was released, there have been an endless number of imitators, which says a lot about the original. 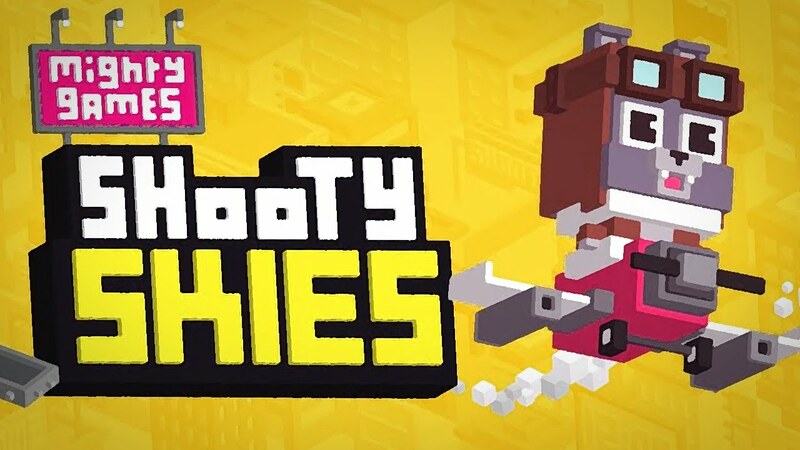 Now Mighty Games, along with the that game’s chief developers, have come up with Shooty Skies, which takes the concept and excitement to another level. While there are similarities, Shooty Skies is a whole different ballgame. Shooty Skies puts you in a war plane, and you just drag your finger on the screen to control the plane. No need to worry about weapons control as it is automatic. As long as your finger is pressed you’ll keep firing. But if you raise your finger, your plane will release missiles that are more powerful than you regular ammo. While your regular guns are kind of weak, they pump out bullets consistently and can keep the enemy at bay. However those bullets are not enough to take out the heavy hitters. Your best option in these cases are the missiles, but you will be exposed and mobility is sacrificed. What this means is there’s some strategy involved in deciding what weapons to use and when. Shooty Skies offers a vast array of power ups, so take out those boxes as they often contain power ups, guns and other items that can help you out. The graphics are blocky and bright as you might expect, and the fact that your wingmen are geese and rabbits shows that it’s all tongue in cheek. That being said, Shooty Skies is still challenging game, and pretty soon enemy craft will be coming at you from all over. However, you’ve got weapons too so it’s a blast to play.